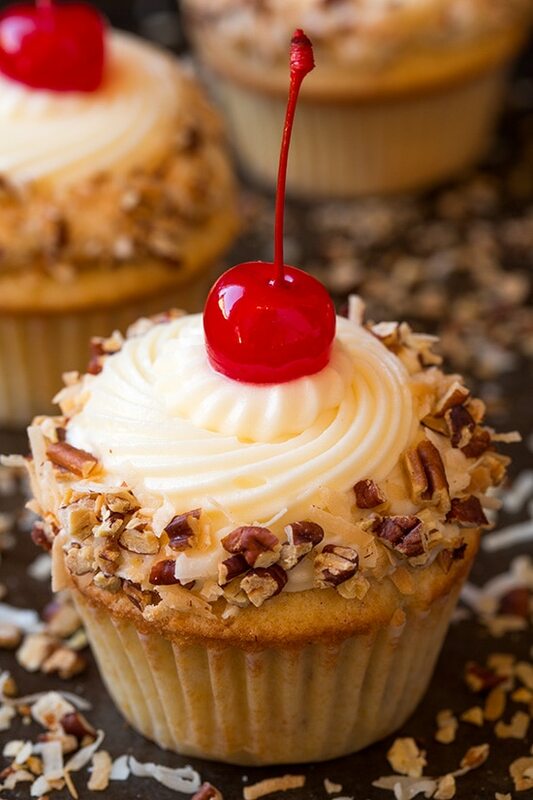 I’ve wanted to share an Italian cream cake recipe as long as I can remember but since there seems to be a plethora of Italian Cream Cake recipes out there and not near as many cupcakes I decided lets go the cupcake route. Plus, cupcakes just seem easier to make right? 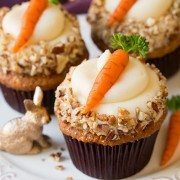 And what can I say, I’m crazy about cupcakes! They are all the love you get from cake but in individual, hand holdable form. Plus, for me they are much easier to decorate than an entire cake, I’ve got so much to learn there. 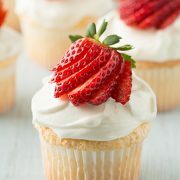 These cupcakes are truly dreamy! I don’t recommend eating the batter, raw eggs can be dangerous, but it is hands down the best cupcake batter I’ve ever tasted. With that I knew the cupcakes would have to turn out good, and oh did they! 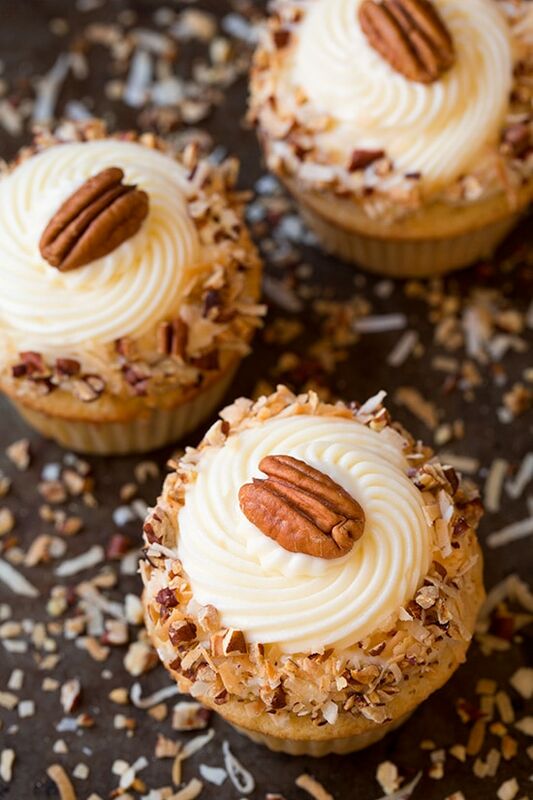 You get this decadent toasted sweetness from the shredded coconut and just the right amount of crunch from the pecans, and that perfect creamy richness from the luscious cream cheese frosting – all paired together in one soft and fluffy Italian Cream Cupcake! You are going to love them!! 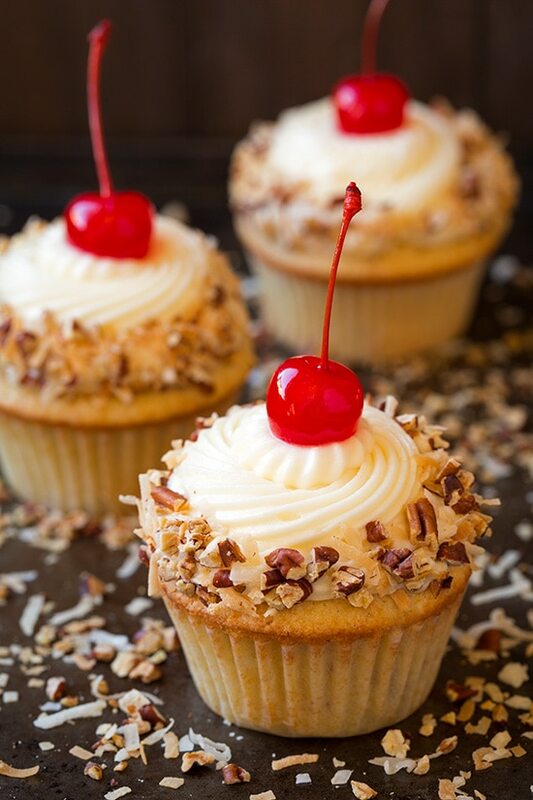 Go the extra mile and don’t forget the cherry on top! Always a win in my book. 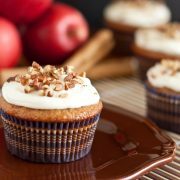 Irresistible soft and butter cupcakes brimming with coconut and pecans and finished with a rich cream cheese frosting. Preheat oven to 350 degrees. Spread coconut in an even layer on a rimmed baking sheet. Toast in preheated oven, tossing once about halfway through, until golden brown 5 - 8 minutes (keep a close eye on it because it will change color rapidly near the end. Leave oven at 350 to bake cupcakes). Allow to cool slightly then pour into a food processor and pulse until finely ground, about 1 minute. Pour ground coconut into liquid measuring cup with buttermilk and stir to combine. Let rest 10 minutes. Sift all-purpose flour and cake flour into a mixing bowl. Add baking powder, baking soda and salt and whisk for 20 seconds. In the bowl of an electric stand mixer fitted with the paddle attachment, whip together butter and granulated sugar until pale and fluffy. Mix in eggs one at a time, adding in vanilla with second egg. With mixer set on low speed, add in 1/3 of the flour mixture and mix just until combined then mix in 1/2 of the buttermilk mixture and mix until combined then repeat process once more (scrape every bit of the buttermilk coconut mixture out with a rubber spatula) and finish by mixing in last 1/3 of the flour mixture. Fold in toasted pecans. Divide batter among 12 paper lined muffin cups filling each about 2/3 full. Bake in preheated oven until toothpick inserted into center comes out clean, about 19 - 21 minutes. Cool in pan several minutes then transfer to a wire rack to cool completely. 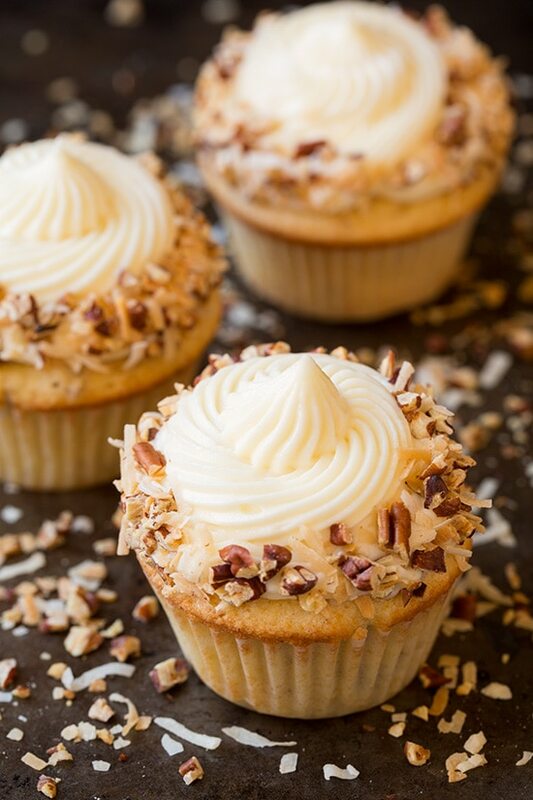 Once cool frost with cream frosting and sprinkle tops with toasted coconut and pecans. Store in an airtight container. In the bowl of an electric stand mixer fitted with the paddle attachment whip cream cheese and butter until smooth. Mix in vanilla, then stir in powdered sugar and mix until smooth and fluffy (if it seems slightly runny, chill then stir before piping or spreading. I like to freeze it in the mixing bowl 5 minutes the beat with the mixer again then freeze 5 more and beat).